Dr. Suhas Erande, General Physician. 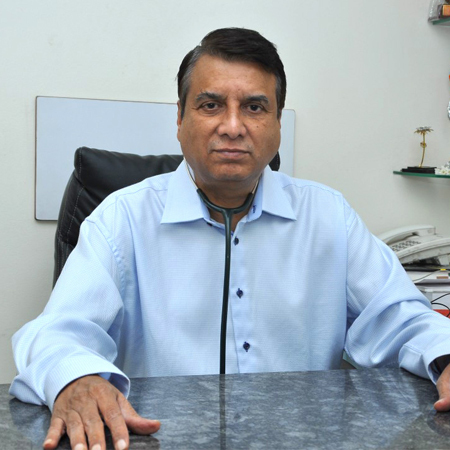 Dr. Suhas Erande, is one of the most reputed and leading Diabetologists of Pune with an experience of more than 30 years. His special interests and expertise include prevention, diagnosis and managing various diabetes complications like Cardiovascular Diseases, Diabetic Foot Disease, Retinopathy (Eye Damage), Neuropathy (Nerve Damage), Skin Conditions etc. Physician to Pune Municipal Corporation. Dr. Erande is committed to help diabetes patients lead a healthy life and help them avoid diabetes complications in all their forms. Dr. Suhas Gopal Erande in Pune holds a clinic that is absolutely healthy and hygienic for consultation and treatment. P Going through the medical history, conducting physical examinations, studying lab X-Rays and ordering additional tests are an integral part of this physician’s daily job. Depending on the diagnosis, this doctor selects the most appropriate treatment course. This medical practitioner is also listed in Diabetologist Doctors.